“Este es un baile de resistencia y orgullo. 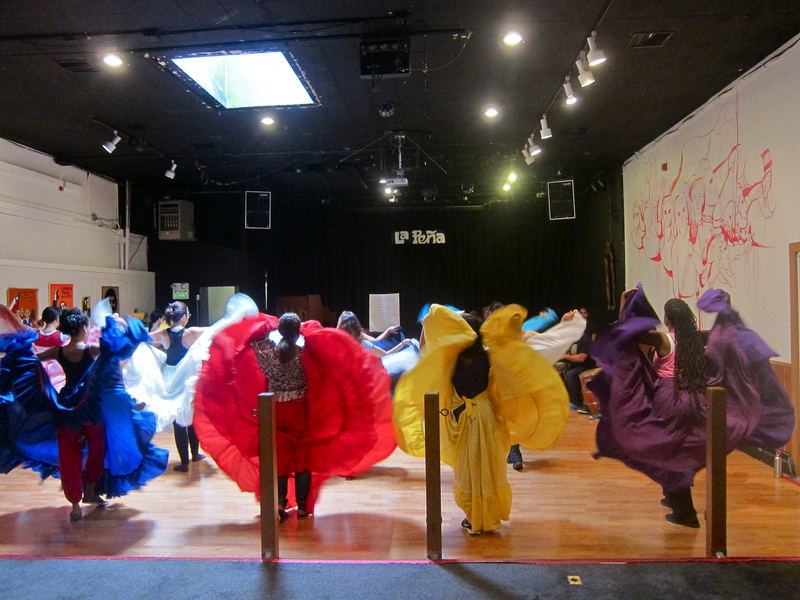 In the Bomba y Plena Workshops (for adults and for youth), students learn Bomba songs, dances, rhythms, and beats along with Bomba history and its significance and place in Puerto Rican and Afro-Caribbean culture. Students also learn how to play cuás, barriles (drums), maracas. The workshop is taught and directed by Shefali Shah, and Hector Lugo curates the music section of the class. (Youth workshops: $12 drop-in fee; Discount prices available if trimester is paid in full). Musically, bomba features the use of the drum and other percussion instruments in combination with an African derived call and response vocal style. In The Bomba y Plena Workshop we study four of the major styles of bomba – the sicá, the yubá, the cuembé, and the holandé.